While I wouldn't have wanted them to announce what had happened on the sign or something like that, I think the fact that they didn't even acknowledge what had happened until the media picked up on it has left them far more exposed. Were they going to go on as if nothing ever happened and just pretend they still had 28 penguins? Though their reasons for shielding the public from the news are probably wise and well-meaning, it's made them look like they have something to hide when, as you've pointed out, there's not much that can stop an urban fox. The video probably should have gone up earlier. As posted on SouthParks News, Chessington have published their provisional opening times for 2018. The MAP weekend is set to be 10th-11th March, with the Resort opening fully on 17th March. Whilst there isn't a huge amount of difference to 2017's hours, it does look like we may be getting an additional weekend of Howl'o'ween with it starting on the 13th-14th October. Chessington have revealed details of their February Half Term event Animal Adventure. The event runs 10th to 18th February. You'll get to enjoy a once in a lifetime experience with How to be a Zoo Keeper LIVE! — an interactive show where you’ll learn what it takes to become a zookeeper and meet some of our animals along the way! Come face to face with tigers and gorillas, and our King of the Jungle Kamal as you venture through Trail of the Kings. [font=Helvetica, Arial, sans-serif]Go underwater with sharks and stingrays in the SEA LIFE centre and don’t forget to visit the Wanyama Village & Reserve, where Grevy's zebra and the rare Scimitar Horned oryx roam freely before your very eyes! • Join Mouse on The Gruffalo River Ride Adventure, a magical riverboat journey through the deep dark wood. 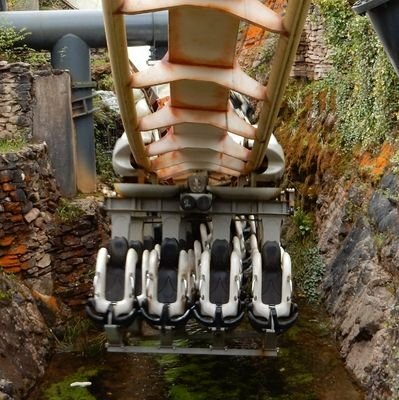 • Board the Scorpion Express and speed through gold mine ruins. • Ride the wild Adventure Tree Carousel. • Get behind the wheel on Tiny Truckers. • Watch out for the mischievous Goblins at Hocus Pocus Hall. It appears Chessington’s Half Term event has got off to a good start, as the car park has reached capacity. 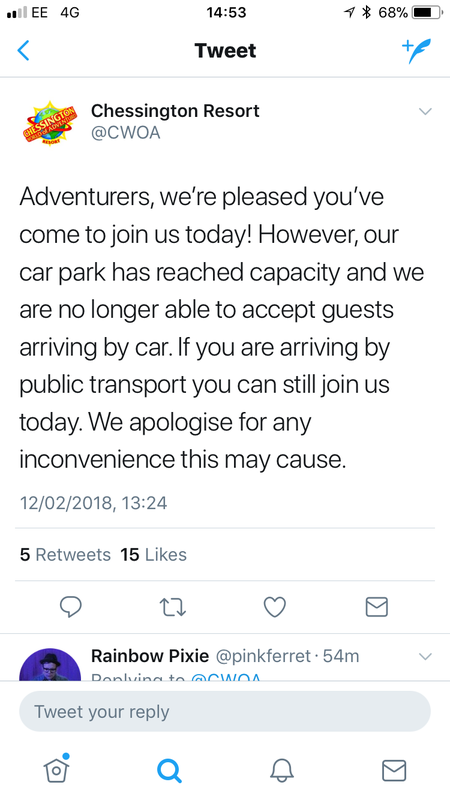 The wording of the tweet suggests that they don’t have all the available car parks open. It is great to see there is demand for February Half Teem events, although if it is the case that only one car park is open then this is poor planning. Surely they could open one to save guests being disappointed or parking on the road? Chessington are asking on Facebook for unwanted perfumes. Lookout for an EXCLUSIVE 20% DISCOUNT on your Annual DigiPass! The Annual DigiPass unlocks ride and walkabout* photos digitally for the whole year across all our Resort Theme Parks (excl. Warwick Castle), now from only £30pp**! For these days and locations only, a Family DigiPass is priced at £30pp, and an individual DigiPass is priced at £40pp. I visited the park for preview day yesterday, and I can hardly say I was impressed. First ride we did was Rattlesnake, which was running pretty slowly, and the general ride is very dirty and gross. Next up was Tomb Blaster, which suffered many audio errors. No audio at all on the lift, audio kept cutting out in the axe corridor, and that's not even mentioning how poor the lighting is. Quite frankly, it's a bit embarrassing to have it operating like this. For some reason, Dragon's Fury wasn't accepting single riders, despite the sign advertising still being there. So I went in, queued up, only to be told "we're not doing that today". Not sure if that's only for this weekend, but it was still annoying. We entered the queue to realise it wasn't exactly moving quickly. I understand that staff are still finding their groove, but stopping for a little chat whilst waiting for the ride to dispatch was incredibly irritating. We chose to eat at Captains, and the experience there wasn't the best. After ordering, it took almost 20mins for our food to arrive, and one of my friend's lunch was lukewarm, so he had to get a second lunch elsewhere. Once again, i'm fine with slightly slower operations on preview days, but waiting ages for cold food just shouldn't happen. Hocus Pocus is more laughable now, seeing as the preshow has been redubbed so there's no mention of the 3D glasses (glasses now being called "powers"), and it's completely out of sync. When guests are paying upwards of £50 on the gate, this is not the quality you should be receiving. If it wasn't for the TTSP event next month, I couldn't see myself returning. Hopefully these issues are ironed out by the time the park opens! SouthParks News now have a full round-up from this weekend's passholder preview days, including updates on Land of the Tiger, changes to F&B across the Resort, and other general updates. Interesting, they were accepting Single Riders on Sunday, and the queue was only half an hour long. The HPH preshow is hilarious. My favourite line is "If you don't possess magic glasses of your own, you'll need to watch out for those pesky goblins, so keep your eyes open or you'll miss out"
I also went on Saturday and had a good day and only have a few little issues but can also appreciate that staff were new and have to have time to settle in. I had the same problem as Morgan in that I had to wait about 20 minutes for my food in the fish and chips place, which was annoying as some people who'd ordered after me got theirs before I did - but I still enjoyed my lunch once I'd got it. Hopefully things will improve once the season begins properly. Looks old but does anyone know the meaning behind this? Chessington are now also advising that ride availability may be limited due to the forecasted weather, but the park will be open as normal. 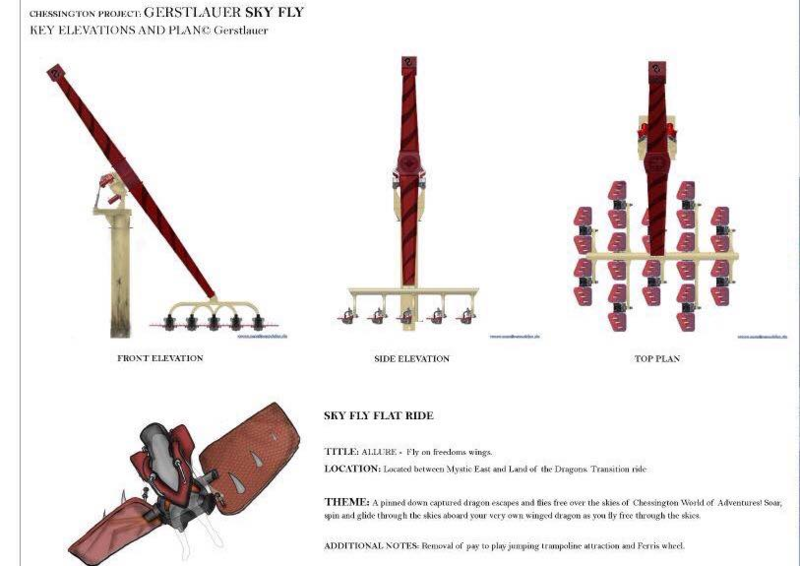 It's a concept that was drawn up by John Burton. 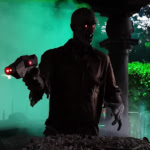 It's not an official concept and one that was put together before he went on to work for Merlin Entertainments. According to Chessington's Twitter account, Not Dogs has opened. Wish them the best of luck. Fairly prime location and adds a bigger selection of options for vegetarians and vegans than just a salad. I wonder how many people will order without paying attention, and then how many notice? Just out of interest, what is not dogs? Sounds like it could be vegetarian / vegan equivalent of hotdogs or something..?